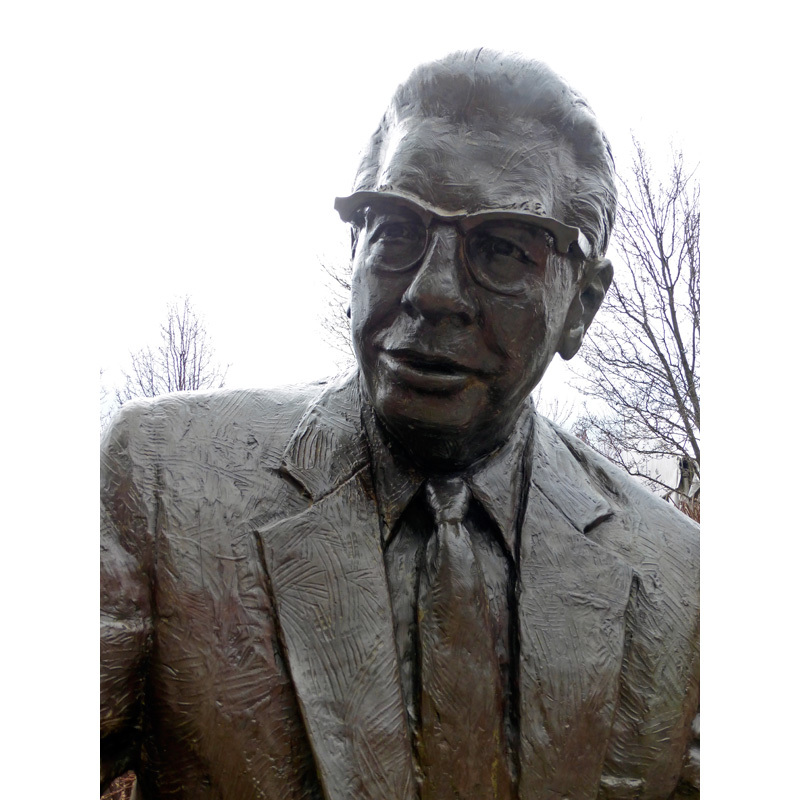 Art Rooney was a huge influence on this city and on sports. Not just local sports, and not just football, The Chief was involved in baseball and hockey too. Among other things, he had helped the Homestead Grays baseball team financially, and was a part owner of the Pittsburgh Penguins for several years. As we sorted through information and interviews on line, we repeatedly saw comments about how kind and genuine Mr Rooney was. He took the time to meet and talk with people and treated everyone as if they were important, and what they had to say mattered. Rather than try to quote or summarize all the wonderful stories we found on Mr Rooney, we’d like to direct you to this biography. It does a nice job of telling you what Mr Rooney was like. He was so much more than the owner of the Pittsburgh Steelers. 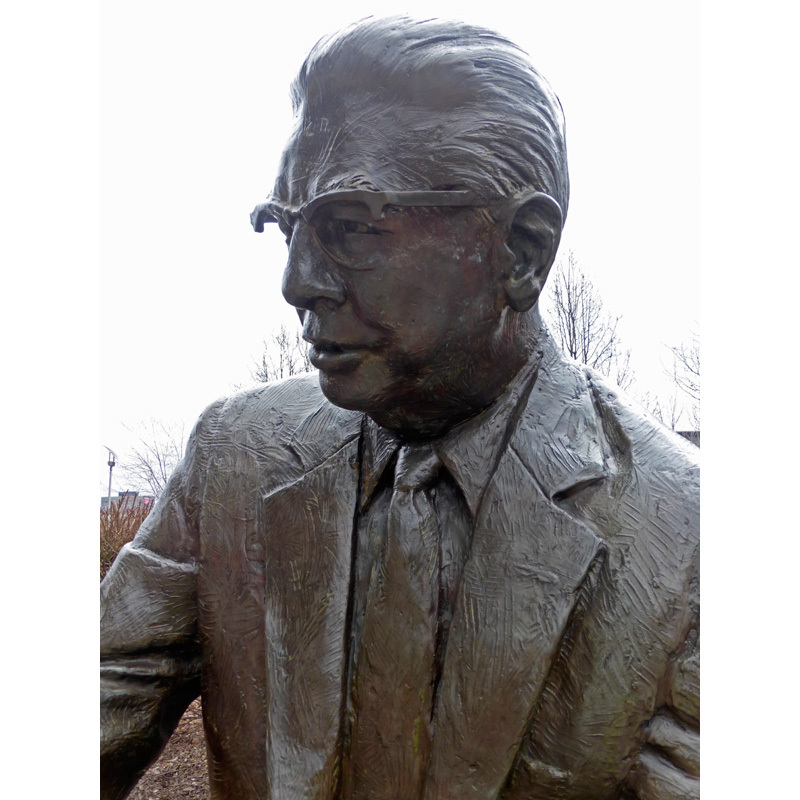 Art Rooney Sr was the kind of person we all want to know. 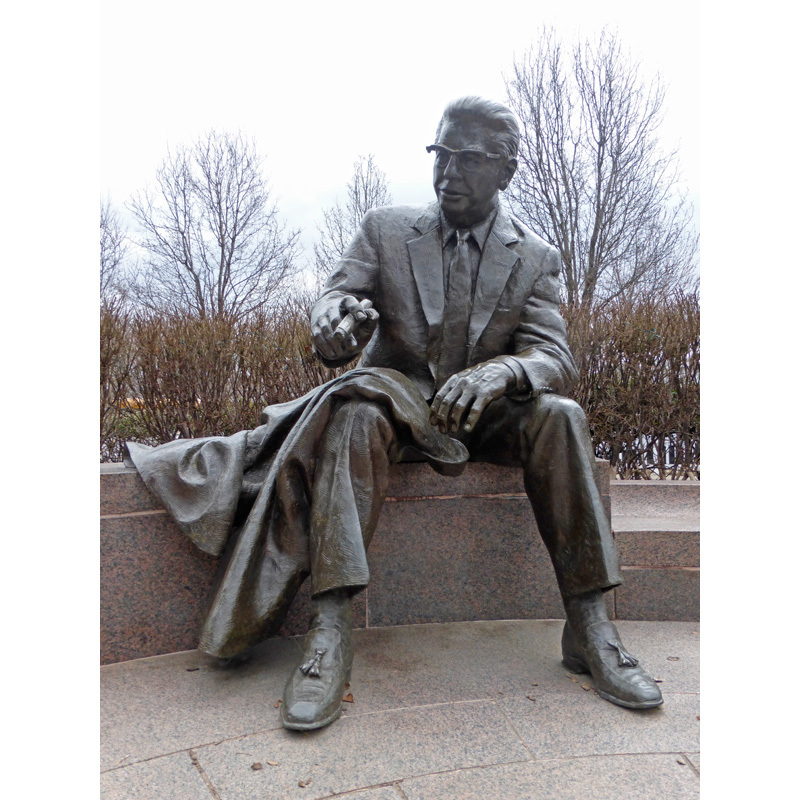 He represented the very best of Pittsburgh and we miss him. When they were choosing the design for this sculpture, Mr Rooney’s son insisted that he not be portrayed with the infamous cigar in his mouth. He felt it would be a poor example for the kids. 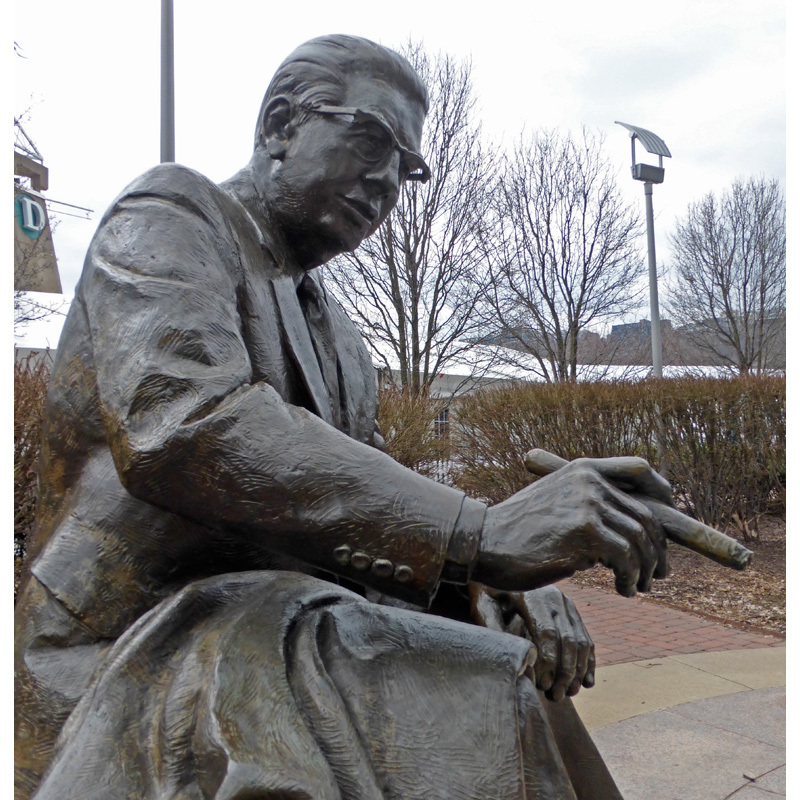 The artist, Raymond Kaskey (a native Pittsburgher), positioned it instead as if he were gesturing with it in his hand. I don’t know if anyone would recognize him without the cigar at all. Nearby is a plaque with Mr Rooney’s famous quote: I never met a player I didn't like.